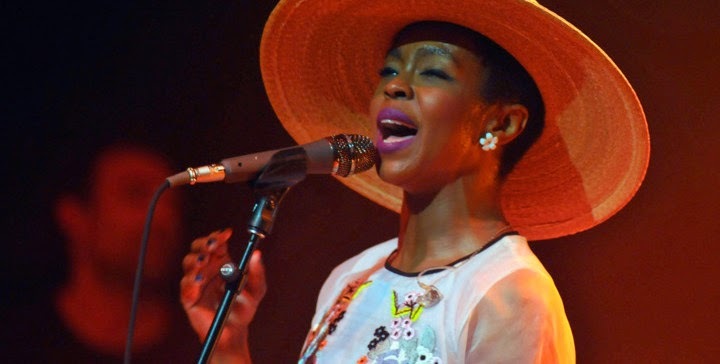 Lauryn Hill has released a self-described "sketch" of her song "Black Rage," which she has dedicated to the people fighting for racial equality in Ferguson, Missouri. "An old sketch of 'Black Rage,' done in my living room," the singer wrote on her website of the tune that dates back to at least 2012. "Strange, the course of things. Peace for MO." The song itself is a lo-fi recording with acoustic guitar, shaking percussion and the sounds of children talking in the background. Hill sings the melody to "My Favorite Things," from Rodgers and Hammerstein's The Sound of Music, but she has changed the lyrics – posted on her website – to ones describing the many factors that inspire "black rage." "I use the performance platform as an opportunity to express the energy of that moment, and the intention behind it," she said of the song at the time. "I've been a long-standing rebel against the stale, over-commoditization. As artists, we have an opportunity to help the public evolve, raise consciousness and awareness, teach, heal, enlighten and inspire in ways the democratic process may not be able to touch. So we keep it moving."